Neomagum (Nijmegen) - MERIAN, M.
Date : Frankfurt, ca. 1645. Size : 11.0 x 14.2 inches. / 28.0 x 36.0 cm. 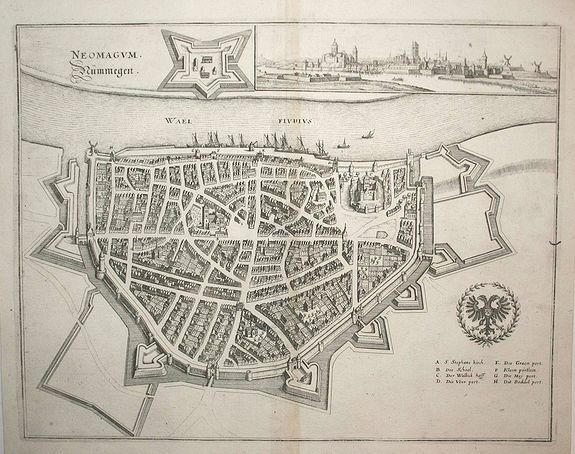 Description :Nice city plan of Nijmegen at the Waal river. Detailed with buildings houses, walls and gardens and a view of the city in the right upper corner. Condition : In good condition, a bit browned in the centerfold.